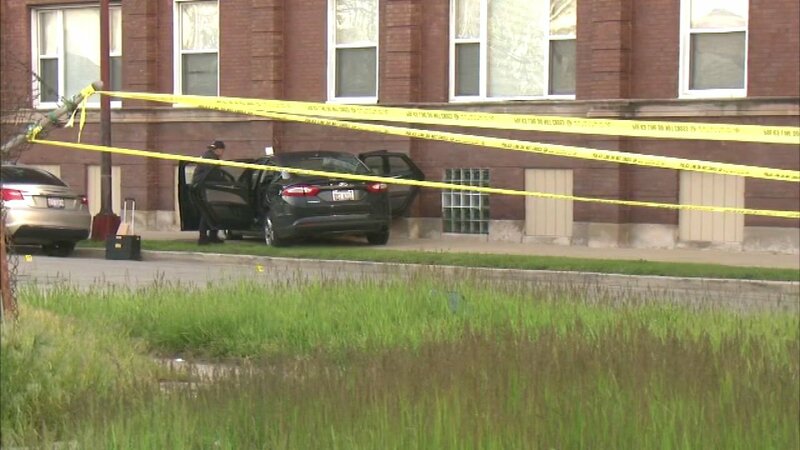 CHICAGO (WLS) -- Two men were caught in crossfire early Friday morning in Chicago's Washington Park neighborhood, police said. The victims, ages 22 and 24, told police they were walking down the street in the 5700-block of South Wabash Avenue around 1:40 a.m. when people inside two vehicles started shooting at each other. The 22-year-old man was shot in the leg. The 24-year-old man was shot in the arm. They were both transported to Stroger Hospital, where their conditions stabilized. One of the cars crashed into an apartment building. Police said the people inside ran from the scene. Area Central detectives are looking for witnesses. No one is in custody.